According to Islam, marriage is a blessing of Allah. Anything a spouse does to make his family life better is a way to please Allah. The Prophet of Allah (peace be upon him) said: “Give each other gifts and you will love each other”. 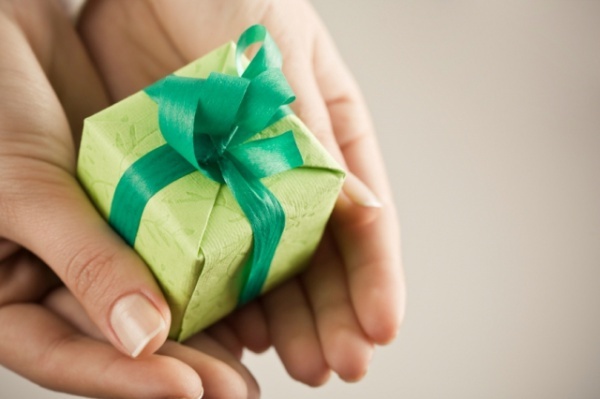 Gifts and attention enhances marital relations and improves a family life. Yet, men tend to find it quite hard to find a proper present for their wife. Our advice would be very easy: just listen to your wife. It is natural for women to say what they want. Try to remember what your wife says as far as her desires are concerned. This way, your gift will be admired. It is obvious that a husband knows his wife’s interests and preferences better than anyone else. However, there are some things that are very likely to make her happy. 1. Beautiful dress or any other piece of clothing. Any woman would be happy to receive a beautiful dress presented to her with love. Do your best to find something special for her. The present should be special, but not beyond her style preferences. Consider designer dresses with some embroidery or made with fine fabric. Hijab is the most essential present for a Muslim woman. There is no such a thing as many hijabs. Try to find a unique hijab. It might of different colour or decorated with some accessories. Your wife will definitely appreciate it. 3. Invite your wife to some special place. It might be the place where you first met or had your nikah organized, for example. Women love attention and the fact that you remember that event of the past will be the most valuable present for her. 4. Write a poem in her honour. It is not expected that you will come up with a masterpiece. All you need is to dedicate some time for your ideas to generate and acquire a nice form. Do your best to write something sweet and sincere. 5. Shoes. Like with hijabs, there is no such a thing like too many shoes. Find some special pair of shoes for her. Some comfortable shoes which she will wear for a walk in the afternoon might be a good idea. Try to find something special for your wife in this or that way. Remember that your wife is your princess and she need to have a pair of cut-glass heels. 6. Any other type accessory is a good and practical gift for your spouse. You can think about a scarf, belt, purse, watch, glasses or a bag. Do your best to buy an accessory of a good quality. 7. Jewelry. Every woman enjoys dressing up and being beautiful for her husband. Your wife will be happy to receive a piece of jewelry. You must know what stones and metal your wife likes. So, try to find something special which she will love. 8. Quran and a Quran holder. Any woman who believes in God will be happy to receive such a gift. 9. Handmade string of beads is an invaluable present for a female Muslim. Every time she uses it, she will remember you and express her gratitude to Allah for such a caring husband. 10. Islamic work of art. This might be an engraving, candlestick, lamp or some plate. Every woman likes beautiful things and your wife will definitely love something nice and at the same time Islamic that will decorate your home. 11. Meal in a restaurant. Organise a meal out with your wife. Let her have some rest from cooking at home and spend a night in a restaurant. 12. Plant in a ceramic pot. Most women like plants, especially those kinds which do not fade. Choose some uncommon plant for your wife. It might be a secculent plant, orchids or kalanchoe. 13. Weekend trip. Go to the nearest nice place for a weekend. Change of scene will have a positive impact on your relations. 14. If your wife is into gadgets, you can give her a new phone, tablet or any other device she might fancy. 15. If your wife takes up sports, a season volleyball, aerobics or swimming ticket might be a good gift idea. If she is going to learn a foreign language, you could give her a language course ticket. 16. Perfume oils. Try to find something she really likes. You might already know your wife’s favourite perfume. You can give it to her to make her happy. 17. Tea set – a teapot, cups and nice tea. 18. Basketful of her favourite sweets. You might put chocolate and berries she likes into this basket. If your wife has a sweet tooth, she will be definitely pleased. 19. Subscription to a Muslim magazine. 20. Another good idea would be a tape-player with the pre-recorded tracks of Quran recitation, your wife’s favourite nashids or Muslim books she would be interested to read. Such a present will be special as you put your efforts and money into it. Please repost it on Facebook if you like it.